Is Mike Pence the Secret Author of the New York Times Piece? “I would know. I am one of them,” the confidential informant boldly asserted. Although the identity of this person remains a secret, rumors abound that the source is none other than Vice President Mike Pence. If, theoretically, this were true, Pence’s motivation for penning such a letter would make perfect sense: he would become the next President of the United States if Trump were impeached. 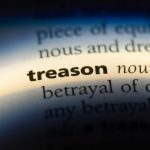 Civics Lesson: What is Treason? Treason is defined as betraying one’s own country. As The Washington Post points out, it is a very narrow set of crimes, and only a couple of dozen people have been charged with it in the U.S. There is, after all, a portion of the essay that mentions impeachment. However, the author claims that they and their fellow conspirators are apprehensive to go that route. Other evidence to suggest that the author is Mike Pence includes the use of the word “lodestar,” meaning a star that is used to guide the course of a ship. 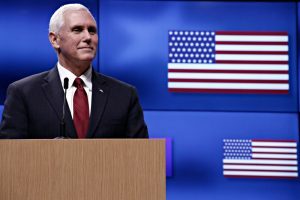 A decidedly uncommon term, there is video footage that shows Pence using the expression on several different occasions.